Levosulpiride is a prokinetic agent. It acts by inhibiting enteric Dopamine (D2) receptors and also acts as a 5-HT4 receptor agonist. It also inhibits D2 receptors at chemoreceptor trigger zone (CTZ) in the CNS and acts as an anti-emetic agent. 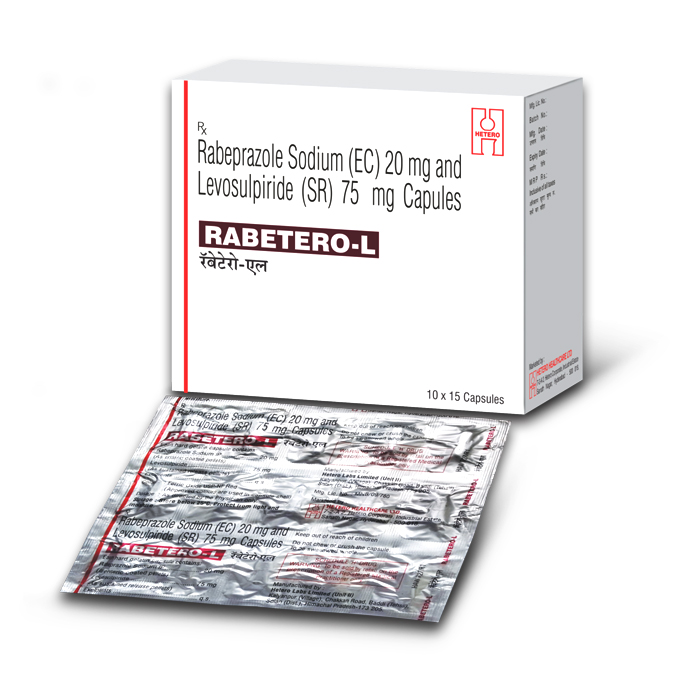 Rabetero-L Capsule SR is used for gastroesophageal reflux disease (acid reflux), intestinal ulcers and irritable bowel syndrome.